Jamell Demons, known as YNW Melly, expressed sorrow at the time of the murders. An up-and-coming South Florida rapper who publicly mourned the deaths of two close friends and collaborators last year has now been charged with their murders. Jamell Demons, known by his stage name YNW Melly, was charged Wednesday with two counts of first-degree murder in the killings of Anthony Williams and Christopher Thomas Jr. last October, according to Miramar police. Both men were friends with Demons and part of the same musical group, with Williams known as YNW Sackchaser and Thomas known as YNW Juvy. Cortlen Henry, 20, another associate of Demons, has also been charged with two counts of first-degree murder, according to the Miramar Police Department. (Miramar Police Department) Anthony Williams (left), 21 and Christopher Thomas Jr., 19, were killed in a shooting in South Florida on Oct. 26, 2018. 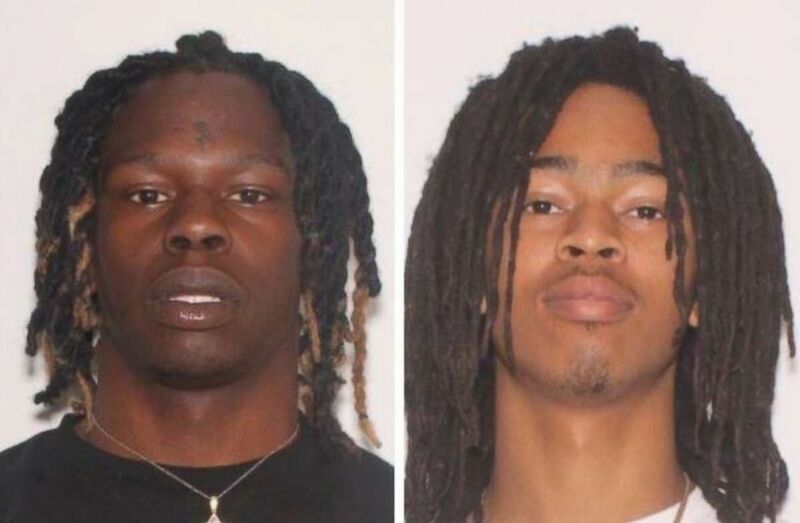 Two fellow rappers have been charged in the murders. The 19-year-old rapper's single, "Murder on My Mind," went gold and debuted at No. 73 on the Billboard charts last year. The song has 89.7 million views on YouTube and includes the lyrics, "I didn't even mean to shoot 'em, he just caught me by surprise, I reloaded my pistol, cocked it back, and shot him twice. His body dropped down to the floor and he had teardrops in his eye." YNW Melly has collaborated with Kanye West -- he appeared on his recent single "Mixed Personalities" -- and is signed to Young Thug's record label. According to police, after Thomas and Williams were killed, Demons and Henry staged the scene to look like a drive-by shooting. Henry drove the two men to a hospital, where they were pronounced dead. Miramar police said the arrests were "supported by forensic evidence." YNW Melly actually tweeted about the loss of his "brothers" one day after the shooting, writing, "They Took My Brothers From Me Over Jealousy," and shared a photo of the three performing. "Till we meet again my slimes," he wrote. 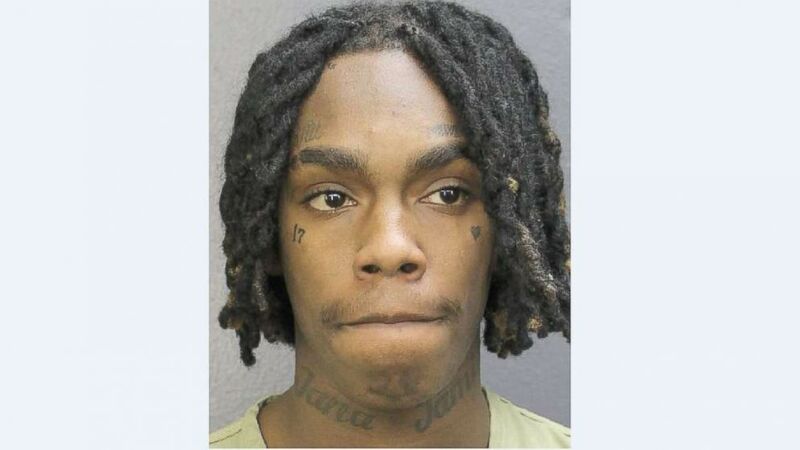 (Broward County Sheriff's Office) Jamell Demons, known by his stage name YNW Melly, was arrested and charged with two counts of first-degree murder in Miramar, Fla., on Wednesday, Feb. 13, 2019. Demons wrote on Instagram Wednesday afternoon that he was turning himself in to police in relation to the shooting deaths of Williams and Thomas. He denied the charges in the post and still referred to the men he's charged with murdering as his "brothers." "I am turning myself in today I want you guys to know I love you and appreciate every single one of y’all, a couple months ago I lost my two brothers by violence and now the system want to find justice.. unfortunately a lot of rumors and lies are being said but no worries god is with me and my brother @ynw.bortlen," he wrote. Demons has a lengthy rap sheet as it is. He spent a year in jail as a 16-year-old after he was involved in a shooting outside his high school. No one was injured, but he was charged with aggravated assault with a weapon, according to music site The Fader. He's been arrested for marijuana possession twice in the past year, according to court records, including just last month in Lee County, Florida. That case is still pending. Demons and Henry are both being held in Broward County without bond.